Watching Sunday Night Football last night, I was as surprised as anyone to see the Verizon Wireless (s vz) “teaser” ads for the December launch of its initial LTE markets. I lived (painfully) through the launch of the initial 2G services in the mid-‘90s, and the launch of the initial 3G services of the early ’00s as the SVP of global marketing for Qualcomm (s qcom), which provides the chips in the handsets for Verizon’s CDMA network. I’ve been involved with the planned LTE roll outs since 2008, and was eagerly awaiting the marketing and consumer communication to see what the wireless industry would promise with Long Term Evolution 4G networks. Oh, Verizon, why? Why set yourself up for over-promising? Being able to launch LTE in 38 markets and cover 110 million people by the end of 2010 is an amazing technical achievement, and took a mind-boggling effort. In one swoop, Verizon’s LTE Network will match and maybe even surpass Clearwire’s (s clwr) WiMAX network, and Clearwire has been building its network for years. And Verizon, you’re using a technology, LTE, which has global scope, is great for mobility from day one, and has an ongoing roadmap to LTE-Advanced, whereas the Clearwire folks, for all their protestations, could be dead meat unless they switch to the TDD version of LTE to compete. So, Verizon, why are you predicating your LTE offer on Streaming HD video over LTE? Wide area wireless of any 3G or 4G variety is not Fiber FiOS. It’s wireless spectrum; it’s ether; and it’s not conducive to massive amounts of streamed HD content. Sure, your LTE network should support great streaming in the early days, when it is unloaded, and your primary users are laptop-based with big batteries. But by the second quarter, rumors say you’ll be launching LTE handsets, with tiny batteries that will get sucked dry from the data rates, big screens and processor usage of HD streaming. And that’s if the handsets have the radio side of things nailed, and unfortunately, as much as Verizon has tested its networks, as much as the handsets will be lab-tested, there will be issues. 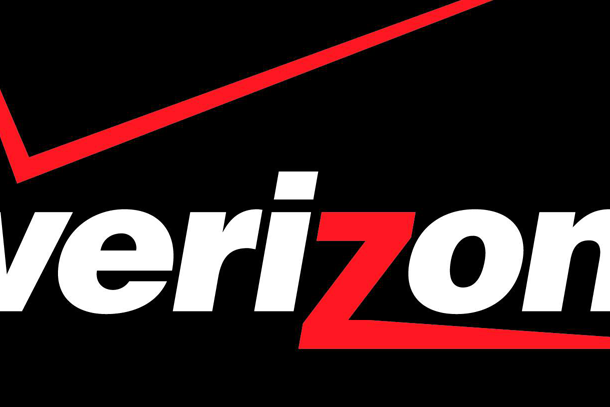 Network issues, handset issues, coverage issues … these are all issues Verizon will solve to excellence over time, but issues it will be raked over the coals for in the interim thanks to the promise of using LTE for HD video streaming. Plus, this is being pitched three days after Reed Hastings, CEO of Netflix (s nflx), discussed at Web 2.0 that consumers just aren’t all that interested in long-form video content on small screen devices. So Verizon, stop it. Stop it now. Give us what we want. The speed of LTE on top of your robust EV-DO Rev A network. Low-latency browsers that work better thanks to LTE. Robust VoIP for our Skype mobile. Apps that download and update quickly over the air, instead of telling us to go find a Wi-Fi connection. LTE coverage at 700MHz that works in our homes and offices. Devices that actually have performance and battery life to make it through a day of the type of usage being promised. Initial launch handsets that are not mocked as battery-sucking hand-warmers like the first 2G and 3G handsets were. Don’t promise to be a Netflix of the air and over promise tens of gigabytes a month; give us 5-10 GB per month of LTE, 3G and Wi-Fi access in a way that has consumers saying, “Wow!” And do it in a way that pushes Clearwire and Sprint (s S) to build out faster networks, T-Mobile to accelerate its HSPA+ network, and AT&T (s t) to move quicker. Do it. Do it now. Jeff Belk is Managing Director of ICT168 Capital, LLC, investing and working with wireless firms globally. He spent almost 14 years at Qualcomm, in roles including SVP, Global Marketing, and SVP, Strategy and Market Development. He was a vocal participant in the 3G / WiMax holy wars of the mid-’00s and owns shares of Verizon, Sprint, and AT&T. And excited as he is about 4G/LTE launching, he wishes folks would learn a bit from the past. I don’t understand the point—not yours, but Verizon’s and everyone else’s. I’m a stickler for the technical definition of 4G that the ITU put out and would like to see the market stick to it. Furthermore, it seems completely unimportant to the consumer. The idea that calling it 4G was necessary to somehow distinguish itself from 3G is nonsense. The only thing anyone cares about is faster speeds and better performance. Most laypeople I know even now are only vaguely familiar with the term 3G and none of them have any idea what it’s supposed to signify. You could call LTE “1G” or “0G” or “deadbabyG” and people would buy it so long as it’s good. Watching these commercials is embarrassing. I was in Germany to observe a trial LTE network from Ericsson. Behold, they said, 150 Mbps! You can stream all your favorite videos! Of course you can, it’s ONE CELL. Show me 150 Mbps on a nationwide network without 4×4 MIMO and then maybe I’ll be impressed. Verizon is the master of empty promises and I can assure you that the thier LTE 4G practical experiences will be no where near the hype they have created. At best we will most probably experience speeds much closer to Sprint’s Wimax, around 5 Mbps with bursts occasionally over 10 mbps. Remember, Wimax and Lte are essentially similar technologies. If Metro PCS is any indication of what a LTE platform is capable of then I wouldn’t keep my hopes too high with regard to Verizon’s LTE. Aren’t they using the same technolgy? So why is Metro only capable of 3G speeds on their LTE network? Lets get the facts straight. HSPA+ is under no circumstances a 4G technology! Its download speeds are no doubt better than most existing 3G speeds, however in practice they are only marginally better. On the other hand Sprint’s Wimax has far more reason to the claim of 4G when you understand its underlying technology and the same would be true to Verizon’s Lte. The ITU requires anyone using the 4G nomenclature to meet the following requirements, the network has to be all IP, use OFDM technology and be capable of minimum download speeds of 100 Mbps. Well Sprint’s Wimax is all IP and uses OFDM, however they are nowhere close to the threshold of 100 Mbps. However, what Sprint has done is laid the infrastructure to facilitate a future Wimax 2 platform that meets the ITU’s 4G standard, all this without disruption of thier legacy Wimax platform and at little cost. It is my understanding that this will be done with a software upgrade and use of extra spectrum, which in the case of Sprint and Clearwire is abundant. Caveat – Without sufficient spectrum (capacity) all these networks are constrained. Wireless spectrum is a finite resource and that is why Sprint and Clearwire are ensconced pretty well, esp. when you consider they have 150 Mhz of spectrum available to them in the 100 most populated cities in America. Now compare that to Verizon’s 20 Mhz max in a few cities and TMo empty portfolio. Good to see you up an posting Jeff. ps. For those of you do not know Jeff, he was the brillance behind the “wi-fi dead zone’ marketing strategy in the last decade. day, they will be back on their wired or Wi-Fi networks. And we probably wonâ€™t have â€œdesktopâ€ computers anywhere. Keep in mind that everything I have been describing above is applicable for laptops and PDAs connected to wide area wireless networks and Wi-Fi networks. Yet, by any metric, the global volume of these devices is very small when compared to the volumes of wireless handsets sold globally. And very few folks have looked at what is REALLY happening in the handset world. They are getting smarter, getting better screens, getting massive amounts of memory, and are capable of amazing applications. You donâ€™t need a big box on your desk or a laptop to lug around to have Mooreâ€™s Law in effect. But I think thatâ€™s the topic of my sequel. Verizon cannot even solved their 1X to EVDO handover and now they’re introducing another technology that is not their arena (they’re CDMA EVDO -3GPP2, only one in the world) and now migrating to GSM technology – 3GPP. They’re fooling people!!! Actually even if AT&T or T-mobile doesnt migrate to LTE, they can always beat the crap of Verizon. You’re ignoring the economy of scale at which Verizon is running. Actually there are over 500,000,000 subscribers in 120 countries on the technology path that Verizon has chosen prior to LTE, and LTE has been chosen by basically everybody for their Next Gen services with the exception of the WiMax guys. any marketing department that made a general web page for consumers solely on the above should be fired ..
Eric, I disagree. This has more to do with AT&T over promising network speed and availability for the iPhone than the speed of the chip in the iPad. We have watched as they tried to sell WiMAX as the competitor to fiber speeds on wireless, and Jeff is right Verizon is trying to make promises that the technology can not keep. This will lead to consumer backlash when they can not watch HDTV on their mobile phones because of drop outs, slow network, or congestion. It is all well and good to market a new service, but to say that it “slices, dices, and will play HDTV” when every tech knows that it will not is just setting yourself up for another Apple/AT&T class action lawsuit. I agree and disagree with the comment above…Verizon is making promises that the technology will be able to keep…as long as a specific region/area/cell site does not have very much traffic. Once there is alot of ‘traffic load’ on the network, my conjecture is that Verizon will still be able to keep it’s promise, a fine print in their service agreement (like the fine print in pretty much all carriers service agreements) will give them wiggle room (i.e. phrases like all services might not be available during peak periods, or you may experience degradation of service speeds during busy times). The notion that VZW’s LTE rollout hasn’t taken years is simply implausible. Yet people talk about it as if it is some instantaneous feat. Clearwire proper didn’t form until 2008 (see also Xohm+Sprint merger) so the technical progress made by Clear seems a bit more interesting IMHO. Now, I work for Sprint, and thus have followed our WiMax buildout a bit more closely than VZW’s LTE, and I’ve actually used Sprint’s 4G. I hope my employer takes your advice regarding over-promising to heart. I do have a hard time selling long-form HD content on a device with a 1400mAh battery :/ …but after using and Epic 4G it’s a fairly compelling experience if not for the battery life. Doh, fact-checking edit. Clearwire and Sprint started working together in 2007. In the interest of keeping the piece short, I did not detail my background, but I started working in wireless in 1993, and was involved in the rollouts of lots of networks in my time in Qualcomm, including the initial Sprint PCS Nettwork (I actually was running the proposal team for the first PCS handset Sprint ended up purchasing). Qualcomm purchased Flarion in 2005 to augment Qualcomm’s 4G developments in both LTE and the next stage, LTE Advanced. You (and others) might want to Google my name and WHYMAX, which is a piece I wrote (it is very long, and yes, I did write it) during the WiMax / 3G holy wars. My sections explaining wireless, wireless standards, and what it takes to make a product could be “search and replace” for some of the issues LTE (or wimax) has faced and will be facing as the rollout continues and the technology scales volumes. Thanks for the additional insight on your background. Downloading your paper now and looking forward to reading it. Really appreciate the perspective. Great comments and I fully agree. Replicating the TV and DVR on a phone or tablet for long form HD content is not the answer. We will have new forms of UGC and Short Form video content that will make more sense for these networks and devices. As for me, the only time I’ve used my Ipad (purchased day of intro) for Video is to watch Amazon Unbox movies on Cross Country flights on the six hour slog from New York to San Diego…and don’t need LTE for that! You make some interesting points, although I think happen to think that Verizon has the right idea in principal. I happen to think that Verizon should emphasize video which is being consumed as part of the shifting consumption patterns. Specifically, Verizon should emphasize short form video, user video capture & sharing, and sports scores with video highlights and live box scores. I would also change the overall positioning to attack fixed broadband internet usage as it is well know that many american’s aren’t satisfied overall with their cable broadband bundles. This positioning would not only highlight in home (and in building) capabilities for LTE, but it would also open up data bundle opportunities for cell phones, laptops, and tablet computers. Clearly these bundles would ultimately make it easier for Verizon (as well as the other wireless carriers for that matter) to transition consumers to tiered pricing buckets. Sorry about that…LTE is Long Term Evolution…the next step in the wireless networks that Verizon has deployed today, which are based on the equally arcanely named EV-DO Revision A…The wireless industry has probably the worst naming nomenclature after the food preservative industry..
As a marketing professional, you’re probably familiar with the section of the United Statesâ€™ FTC Act criminalizing false advertising. It BOTHERS me when people try to get over, especially telcos. Sprint subscribers caught by WiMax on the promise that it was “4G” should file a class action for damages against Sprint due to their false advertising on grounds that WiMax is not 4G and only a change of improvement in 3G tech. Verizon’s and other carriers’ use of “4G” in identifying the upgrading of their 3G capabilities is a promise to deliver “4G” performance to the consumer. At this time, NO carrier is at all equipped to deliver 4G, and thus we have this 4G “promise” already overpromised, as it doesn’t exist yet in commercial form here in the US. 802.16m (WiMax 2) and LTE Advanced may meet the minimum requirements for 4G, but even when the preliminary and finalized specs of 4G were clear, the carriers still took the “4G” nomenclature to apply to their barely 3.5G tech that won’t reach full deployment until 2013 or 2014. The carriers aren’t just “labeling” their services as 4G. They are assimilating WiMax and LTE as 4G, which is claiming specs that do not represent the truth. Not only are the carriers in general overpromising, they are committing a crime of falsely advertising 4G service performance, enticing unknowledgeable (MOST) consumers to ante up based on that “promise.” My post isn’t intended to troll on the very welcome increase in bandwidth speeds. It’s intended to point out a crime – that carriers are knowingly exploiting a term inaccurately to benefit themselves, by which Sprint and T-Mobile have already experienced growth because of the 4G speeds claim. â€œ4Gâ€ looks a lot better on papers than â€œ3G,â€ but that’d only be fair if, in terms of the carriers claimed 4G networks that are running now, that’s what it truly does. You’re right in another response to a comment you made that the naming convention of the different network types is nuts, but that does not mean the overspecification of these different techs should be generalized by summing them up as “4G” to â€œsimplifyâ€ their naturesâ€™ presentation to the consumer. It’s boolshyt. In this scenario, it’s a federal and international crime to commit and, in the FTCâ€™s case, allow (The US is a member of the UN, of which the ITU (ITU-R) is an agency that determines IMT Advanced.). My other wish, one that you would probably agree with, is that vendors and carriers would shy away from claims of pie in the sky unloaded network peak rates, and focus on the types of performance a real human being would get on a fairly well loaded network at peak times, and with LTE, some description on latency. In Verizon’s favor, they have been MUCH more realistic than most operators, as their claims and delivery of CDMA2000 1x and EV-DO services have pretty much matche, especially when contrasted to the launch of alot of folks of 3G WCDMA in the early 2000’s, when folks claimed 2mbps and delivered 150 to 200kbps at best…but my guess from your post that you lived through those days as well…but by the same token, I wonder how many people in new york in January 2014 are going to be getting 10mbps “REAL” bandwidth over the air on either LTE or WiMax…gonna be a challenge for the network engineers given constrained capex budgets!